With Champions League hostilities having already got back underway - producing some surprising results in the process - we thought that we would take a closer look at what's happened so far, what the pundits are saying and which teams are most strongly fancied for the title by the bookies. Real Madrid's title success last year was certainly unexpected, not least as it was a season that saw the dismissal of former Champions League-winning coach with Liverpool, Rafa Benitez, in favour of managerial novice - but club legend at the Bernabeu - Zinedine Zidane. The 'Meringues' are third-favourites for outright glory again this year, with the 6/1 odds offered by BetStars especially attractive. 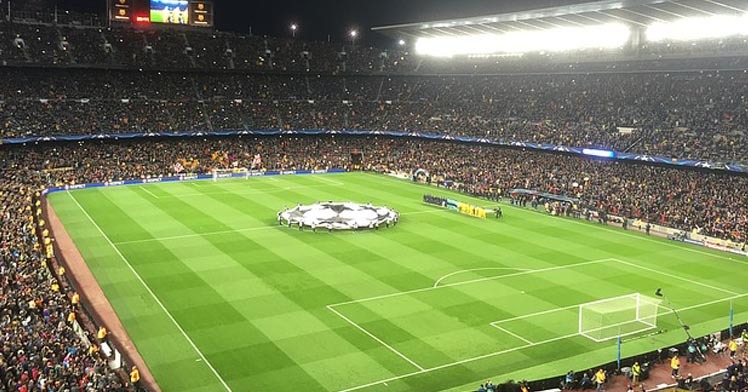 Topping the markets, however, are world football's two 'teams of the moment', Barcelona and Bayern Munich, with the former backed at a tempting 10/3 by Betfair. As for where the English clubs presently figure in the betting, it won't surprise you to read that Pep Guardiola's new charges, Manchester City, are given the shortest odds - 9/1 is an especially common offering at the likes of StanJames.com, bet365 and Sky Bet. If, meanwhile, you fancy Leicester City to continue their bookmaker-defying feats of the last season or so, you can get odds as short as 33/1 or as long as 50/1 for them to win the title, and it's fair to say that even the latter - or the Foxes' presence in the competition at all - would have been unthinkable just 12 months ago. The first clashes of the new Champions League season have already been provoking plenty of comment among the pundits, with Leicester's comfortable 3-0 debut win over Club Brugge the subject of particular admiration. Some of that admiration has been forthcoming from Sky Sports pundit and ex-Southampton legend Matt Le Tissier, who has tipped the Premier League champions to "cause problems to any team in the Champions League... after the chance that Brugge missed in the first couple of minutes, Leicester completely dominated that football match." But as stunning a performance as Claudio Ranieri's team gave, another English team resuming its association with European competition was less able to rise to the occasion. Tottenham slipped to a 2-1 loss to Monaco at Wembley, but The Guardian's Barney Ronay blamed the result not on a still relatively unfamiliar stadium for the team, but on "an early intake of breath at finding themselves in the clean, clear air of elite club football competition, where the details are worked relentlessly, where any moment of slackness is exposed." Much more confidence has been exhibited so far by Guardiola's City side, which eased past Borussia Monchengladbach by four goals without reply in its first group-stage match, leaving ESPN's Simon Curtis to marvel that "for all the confidence flooding through the side, for all the sumptuous passing that has been showcased so far, another element has been added to the mix, which is of the utmost importance: energy." There may be - as we have covered previously here at Profit Accumulator - many great ways to make money online, but it doesn't come much better than making money from sports betting, especially when you could be adding as much as £1,000 to £2,000 to your bank account every single month. 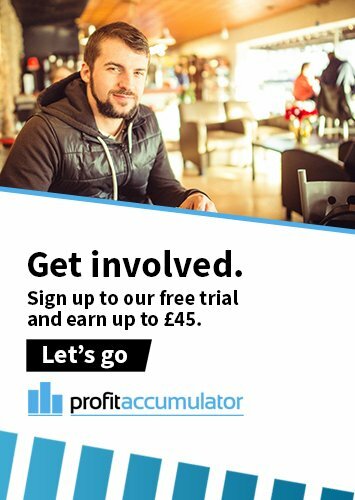 That is precisely what you can do as a member of Profit Accumulator, and with the Champions League already providing no shortage of talking points and some odds-upsetting results, there couldn't be a better time to get used to placing matched bets if you have never done so previously. We'd say "good luck", but of course, with matched betting not involving gambling at all, you won't need it anyway!